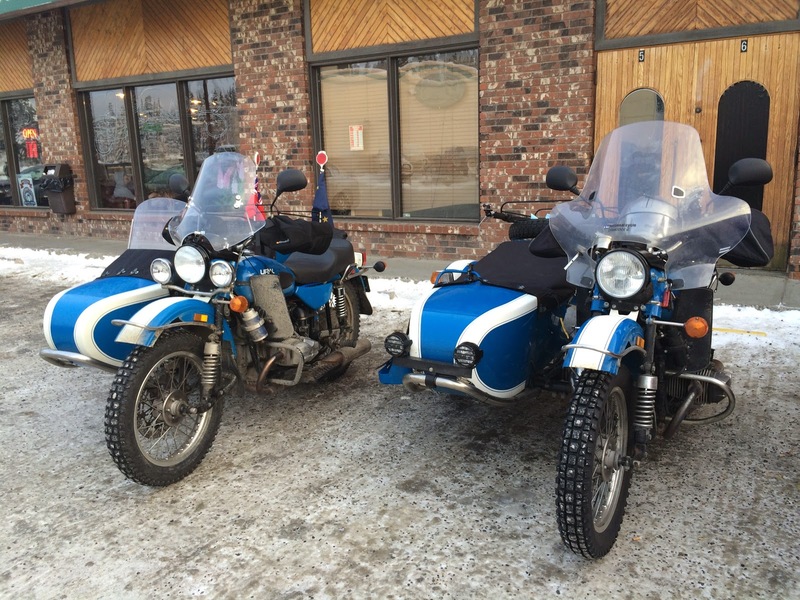 A Ural update. 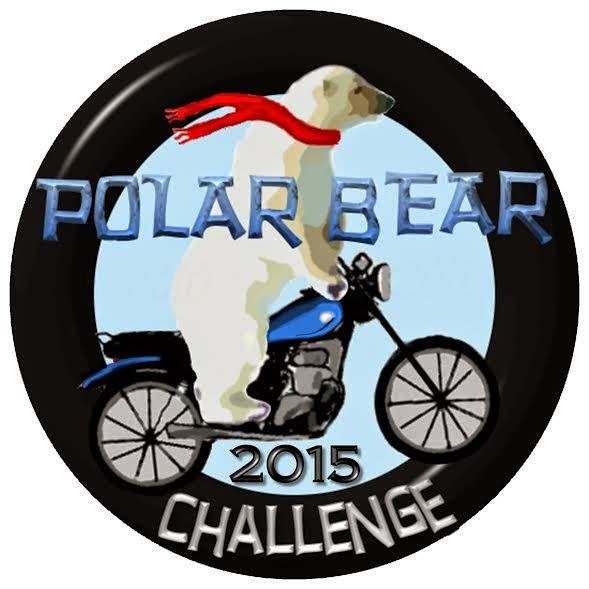 Ural will be sending a lifter and a push rod sometime, hopefully soon. Mickey said that he has the parts on hand and had just been waiting to get verbal approval from Jason at the mother ship in Redmond. Anxious to get it back on the road. Here is the next PBC video. Saturday evening - It really warmed up overnight. It was -14°F this afternoon and it felt downright balmy. Plus it was bright and sunny. I was pretty busy all day but managed to sneak a ride in around the middle of the day. Tomorrow is supposed to be even warmer, possibly even above 0°F. Pretty quick change. Here is my only entry to the "I am officially bored" challenge. And it is only part of a plane. This picture was taken last September as part of the 2014 Ural National Rally Day. This is a candy store at one of the local tourist hotels. The only tie in with an airplane is that the hotel is right across the street from the airport. As you can see, lots of disassembly on the Ural. I opted to pull the rest of the lifters and see if any display the same kind of wear as the left exhaust. Instead of removing the sidecar completely, I tried Dom's suggestion of lifting up the body of the sidecar to get to the right side of the engine. The sidecar frame still got in the way of removing the head so I ended up loosening up all of the sidecar mounts to move the frame down. Here is most of the parts that have been removed from the engine. All are labeled so that they can go back into the same location. 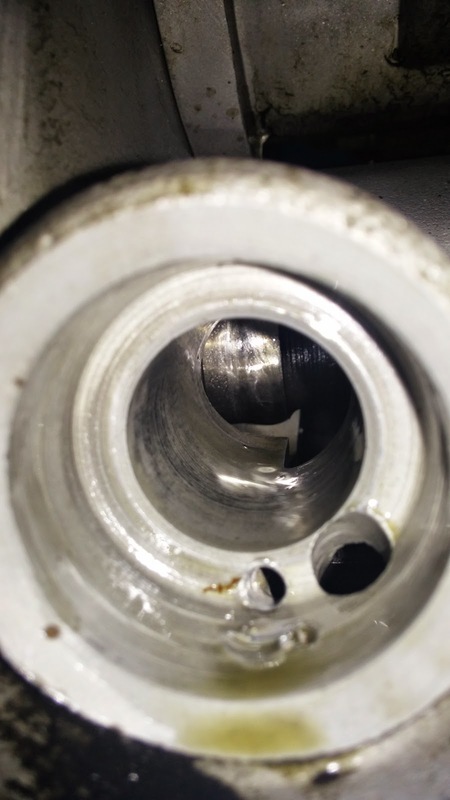 The left exhaust is the only lifter that shows excessive wear. There is also some unusual wear on one of the push rods but not enough to compromise it's function. There is yet another PBC video. Here is the latest -36°F ride that was posted. Tomorrow's post is a much colder day. A not very interesting video as it is just an early morning ride from a couple of days ago. 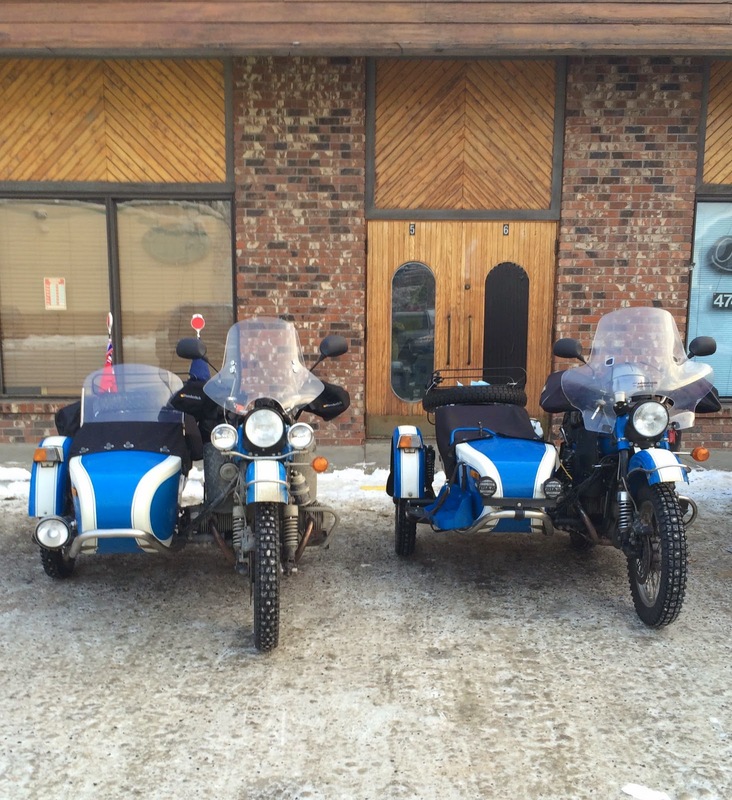 This evening, after talking to Mickey, the Anchorage Ural dealer, I started in on the Ural. I removed the exhaust headers, crash bar, valve cover, left carb, rocker arms, push rods and the head. 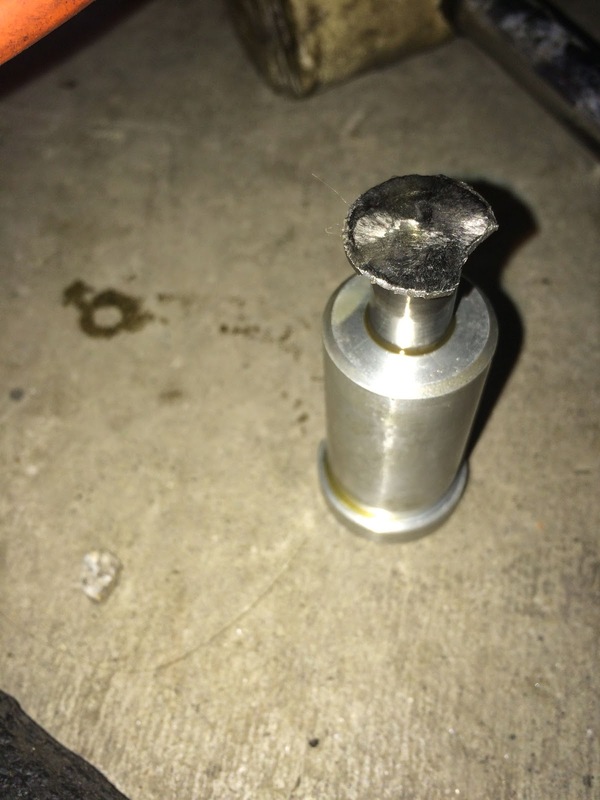 After tapping on the cylinder with a rubber mallet, the base of the cylinder broke free from its gasket and I was able to slowly pull the cylinder from the engine. The piston is at TDC (Top Dead Center) to maximize how far I could pull out the cylinder without exposing the piston rings. This is what things looked like at that point. The lifters can be seen in the center of the picture with the exhaust lifter the one on the left. The push rod tubes with their rubber seals are in the bottom of the frame. If you look carefully, the flat headed screws that hold the lifters in place can be seen. To remove these flat headed screws, I used a hand impact driver to loosen the screws without damage. Then pulled the lifter and follower from the block. The damaged follower can be readily seen in this picture. I believe that the follower is hardened steel and this one (or batch) was insufficiently hardened. I thought about removing the intake lifter and follower just for comparison but thought that I should wait until I hear back from Mickey. This photo is the best my son could do at trying to get a picture of the cam surface. Just wondering if the cam was damaged by the follower. If it was worn much more then it would be more likely. This morning, I got approval to pull the rest of the lifters. The following PBC video is the debut of the BMW. I didn't ride into work this morning due to the temperature but by the afternoon it had warmed up to -28°F. As it was last year, the BMW is a pain to get up the driveway. But after that, no problems at all. The BMW is much harder to steer but is much less "tippy" than the Ural. And I really have to watch my right hand as I frequently found myself going much faster than at the same engine rpm and gear on the Ural. No, I did not ride to work today. That would be silly, crazy. Though I still may take the rig out later today for a test ride just not shutting it off or venturing too far from home. Worked on the Beemer a bit more today. 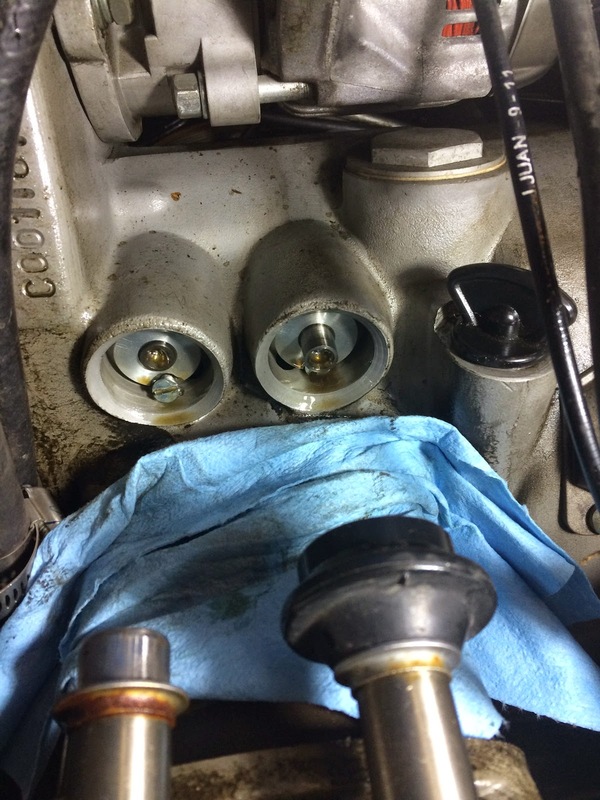 This the the crankcase vent fitting and normally the two small hoses are connected into the "Tee" feeding the moist crankcase air into the two air horns. I just disconnected the two small hoses so any water will just go into the air box and not directly into the carbs. 5w30 oil is now in the engine and I had to fix the wiring for the heated gear. It was sharing the ground connection with the GPS wiring that I moved to the Ural. I had thought that I was done with the screws in addition to the studs. 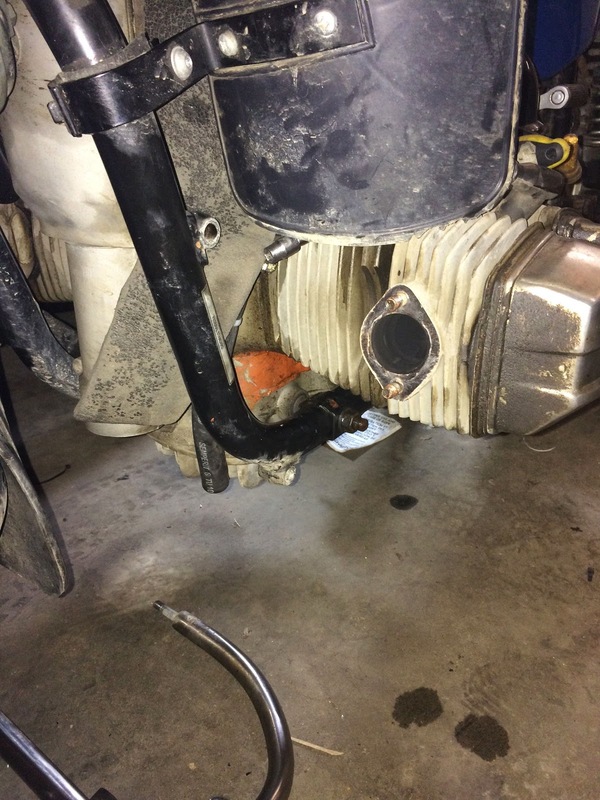 The BMW just doesn't have as good of traction with just the pusher as the Ural and with our snowy conditions, the screws are needed in addition to the carbide GripStuds. And the most important thing, I have the GoPro mount on the sidecar windshield support so the camera is about at "eye level" if you were sitting in the sidecar. Something that I didn't expect to happen was being left stranded by the truck. I guess there is still some remnant of the gelled fuel left in the fuel system as it died as soon as I got to town this afternoon. It would restart but as soon as you try and go beyond an idle, it would shut down. We have real winter weather now with still air temperatures in the -24°F range. I had it towed to the Diesel Doctor, a reputable non-dealer. The first video is very short PBC ride. Just the regular commute home along the shortest path. This was when there was a loose valve noise so I just headed straight home. I believe it was 7km. The second PBC video is the test ride on Saturday morning after adjusting the valves. After only ten short miles, the same exhaust valve was rattling again. A couple of days ago, the fire alarm went off in the building and the building that we get to move to is the University of Alaska Museum of the North. Not a bad place to get stuck. This bear is at the entrance to the exhibits and has been there for as long as I've been at the university. I didn't take advantage of the emergency "free admission" (the crowd entered the museum through a normally locked door) and wander around much but I think the gift shop sold a whole lot more coffee than usual. It looks like winter is finally arriving here over the weekend with low temps ranging from -35°F to -55°F depending on what weather app/site you choose to believe. I don't really intend on riding much at those temperatures but it'll be a good opportunity for a picture. Plus a way to really blow the PBC stats. If it were -55°F, I would be getting 8.7 points per mile so a short 10 mile ride to the temperature sign and back would be equivalent to an 87 mile ride at freezing. Below, I have two more PBC videos. The first is a not very interesting commute though not on the most direct route. Taking 51 km to travel 8 km is not very fuel efficient. The second video is a "short" ride to College Coffeehouse. Since I saw the crossing lights start up on University Ave, I headed out to the railroad crossing on Sheep Creek Road Extension and caught the train on the video. This was also not the most direct route as 1 mile turned into 34 km. At College Coffeehouse, I met with a local airhead who has put a deposit down on one of the 2015 Urals. He was concerned about the lack of a local dealer. I mentioned that if was planning on getting a Ural, he also better plan on learning to work on it himself. Kind of like a BMW airhead. Apparently the dealer in New England has two sales pending in Fairbanks as they are looking into possibly shipping two fully assembled rigs to Fairbanks. I mentioned that I would be happy to help with the maintenance as it isn't much different than with the old BMWs. 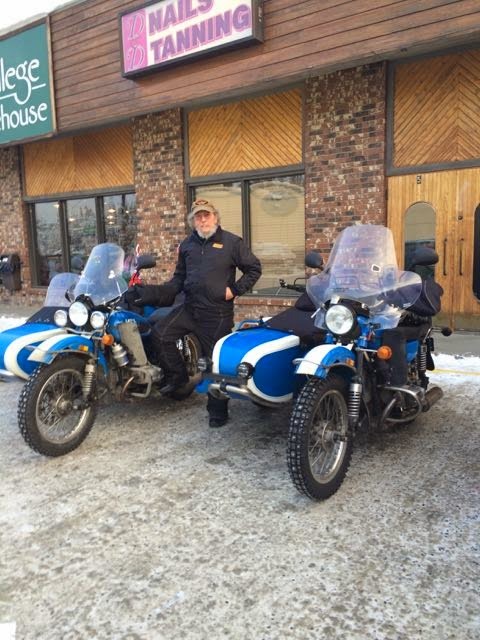 BruceW, the Ural rider from southeast AK, and I are still having issues with the breather freezing up. 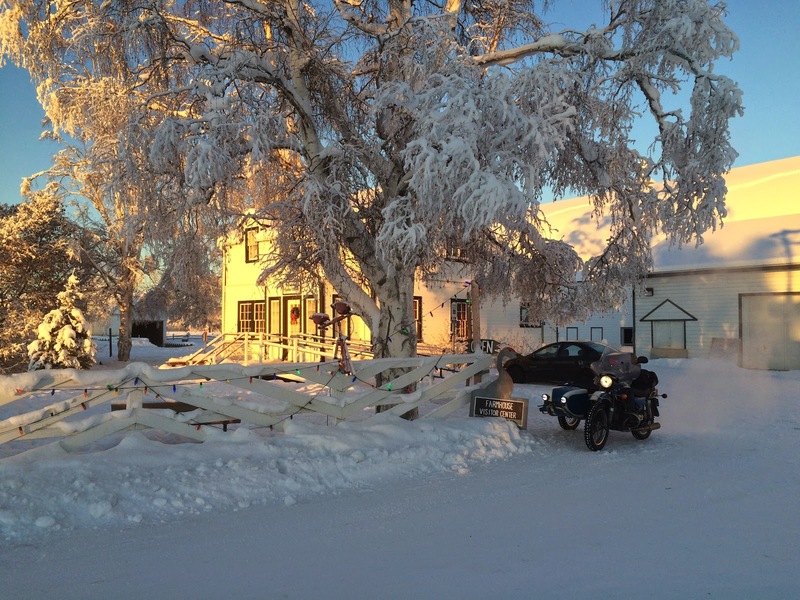 He sent this picture of the breather after only a half hour ride at -3°F. I have added some closed cell foam between the engine and the leg guards against the fitting and the hose to block airflow to the fitting. The jury is still out on whether it has helped any. BruceW and Simon, his British monkey, are riding back to Fairbanks today so Simon can catch his flight out tomorrow. You may have noticed that my speedometer is broken due to the cold temperatures. A call to Mickey in Anchorage and a replacement unit is on it's way up from Ural. Just as Charlie6 has said, a great warranty. Unfortunately, I only have about 7 months left. Probably the only two blue and white Urals in Alaska. The one on the left is owned by BruceW from southeast Alaska and the one on the right is mine (or is it Bridget's?). He has the sidecar windshield installed since Simon, the international monkey, needed it to stay unfrozen. Simon said that it felt like you had your legs sitting in a freezer on the ride up and despite chemical heat packs, his feet were still freezing. He had ridden to College Coffeehouse to meet with whomever opted to show up and had a long talk with George Rahn. I Believe that BobC, the Alaska Airheads rep, was also planning to stop by but when I left, he hadn't arrived. BruceW was more than happy to watch the Seahawks game at the coffeehouse. It was hard not to compare and see what was different. He had the slick foot rests replacing the pegs with expanded metal bridging the gap between the sidecar frame and the bike. The one on the left was modified to allow full travel for the kick starter. He had the same engine vapor canister except his was blue to match the bike. Dual driving lights on the bike and an off-road light on the sidecar were added. One of the more unusual mods were the Mikuni carbs or at least that's what I think that's what they were. He had purchased the rig from the former owner of Raceway, the Ural dealer in Salem, OR, after a buyer was forced to sell before picking up the rig. So practically every option offered by Raceway is installed on this rig. It was great to finally meet BruceW, whojigger on SovietSteeds. 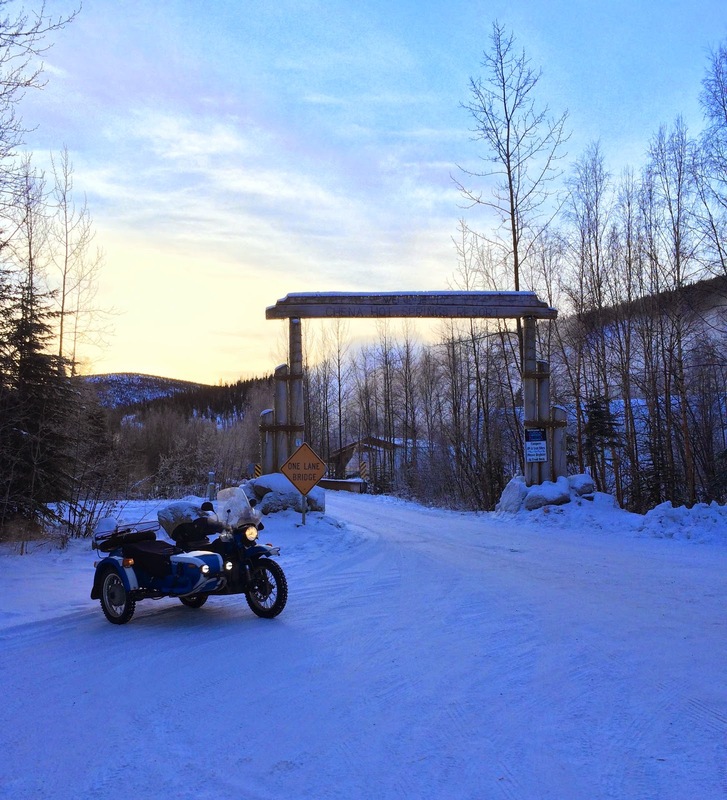 Tomorrow, he and Simon are heading down the Parks Hwy to a small town south of Nenana to spend time with family. Simon will be flying out of Fairbanks later this month. Below is the return trip from Chena Hot Springs. It has 3 minutes of normal video followed by 30+ miles of time lapse. Then the GoPro battery died. Update - The battery didn't die. The 32 Gig SD card filled up. I guess all of those pictures (6569 12 megapixel images) for the time lapse take up a lot of space. A new gadget that I picked up is this tiny (2.8 oz) Wi-Fi router/AP. Like most routers, it'll take a wired Internet connection and share it out via Wi-Fi. This one will also take a Wi-Fi connection and share it out via Wi-Fi on another SSID. If you plug in a USB drive, it'll also share that out as well to it's wireless clients. Power is via micro USB. 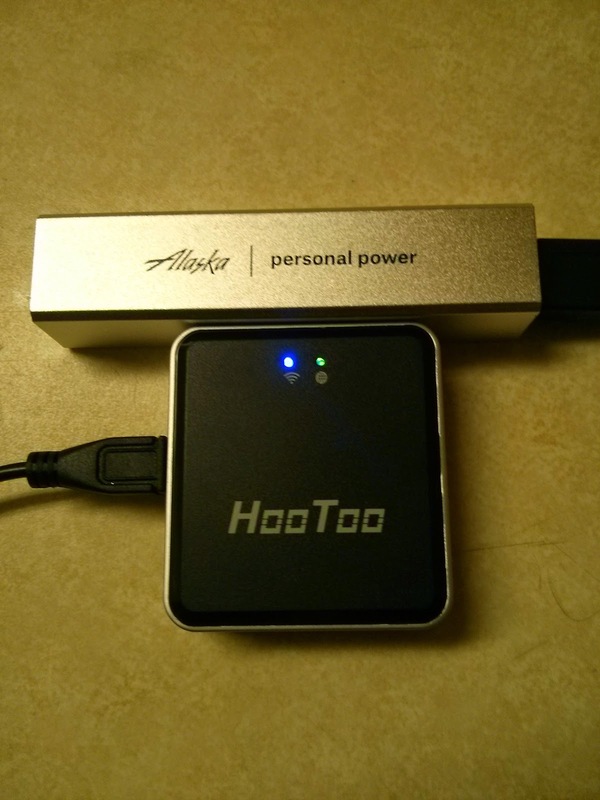 In the second photo I'm using the little phone charger that I got from Alaska Airlines during my San Francisco trip. It's only 2200mAh but I'm curious how long it'll last. The first thing you may ask is "Why would anyone need such a device?". One example would be if you have a wireless network in your business and you would also like to offer wireless access to your customers. Using a device like this you could offer the service without having customers and business devices on the same network segment. 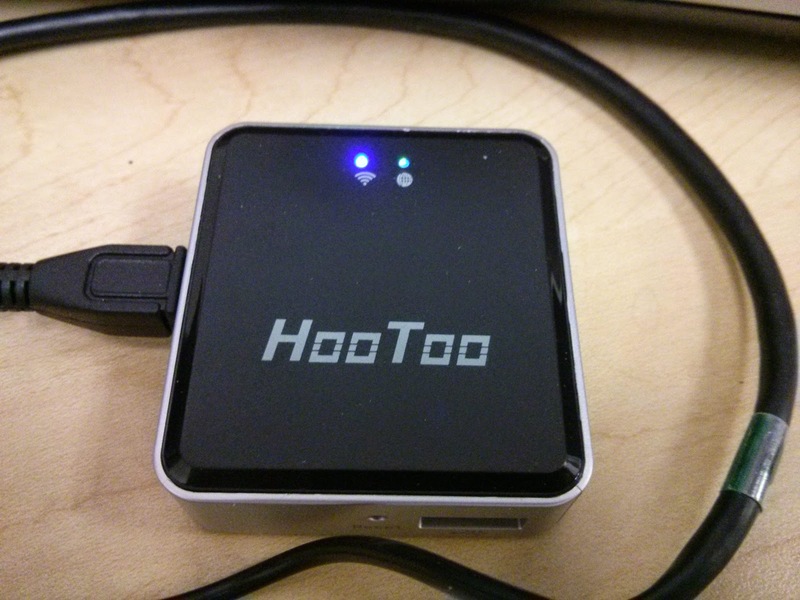 Another example is that if you are in a hotel that offers Wi-Fi and you want to plug in an Chromecast, Roku, Raspberry Pi or AppleTV into the television, you don't have to reconfigure anything if you have all of your stuff connect to the tiny HooToo access point and have it connect to the hotel Wi-Fi or wired connection. Also, many corporate and hotel Wi-Fi access points suppress the IP multicast that some discovery protocols such as Bonjour need to function. In addition to it's small size it was only $19 on Amazon. Pretty amazing device for that price. And here is the third of three videos that I recorded on Sunday. Starting from the turnout at the back entrance to the university x-country ski trails and ending at REI at the other end of town via a non-shortest-path route. 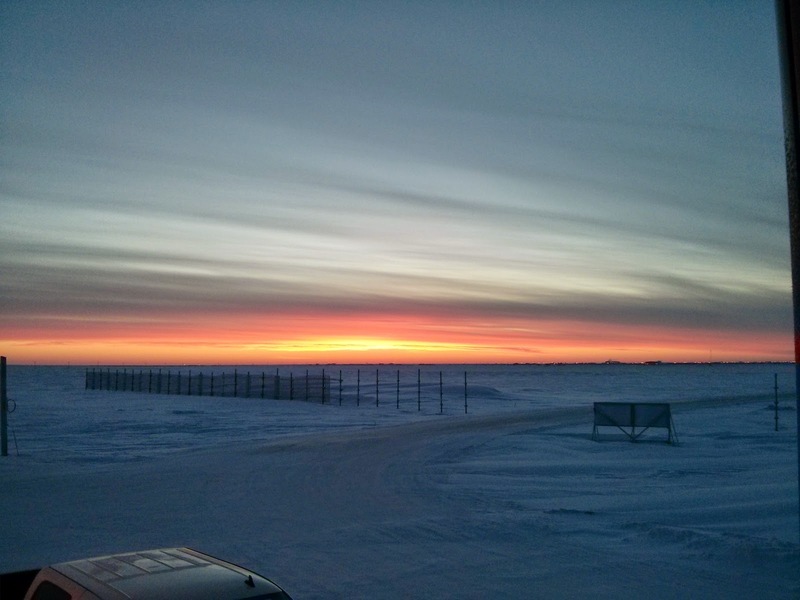 This is shortly after sunrise (10:31am) at the Fairbanks airport. I am heading north again on a trip I had delayed due to the quick trip to southern CA. I was originally scheduled to leave on this trip last Thursday and return in the middle of this week. 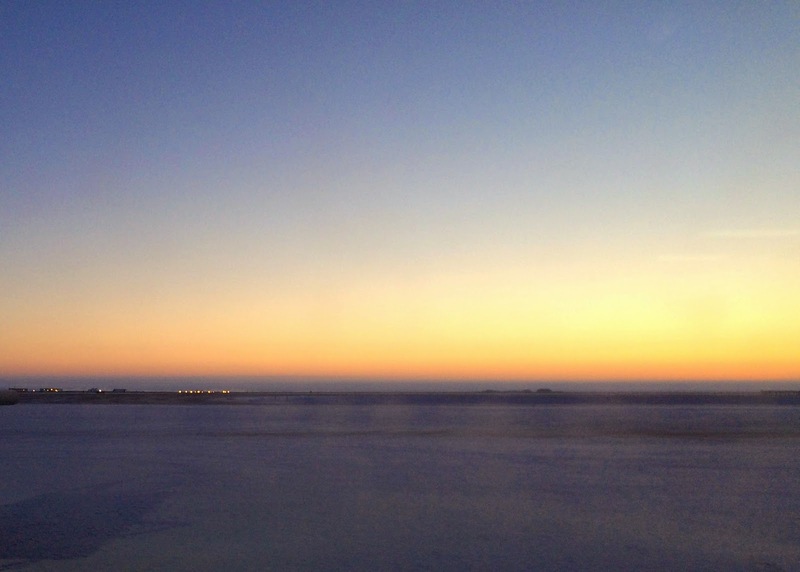 Just for comparison, this is the view from the waiting room at the Prudhoe Bay airport. Alaska Airlines has re-vamped their schedule so now a whole day is consumed traveling to Barrow instead of just a morning. The first sunset of the year is still about a week away but it's pretty well lit up. The next PBC video was recorded yesterday afternoon and is only a 23 km leg of a longer trip. It ended at a turnout near the back entrance to the university ski trails. I probably could've included it on the next video but didn't. I didn't have the handy GoPro remote charged up so I just ran it as one long video. Quite a change from the normal fare on this blog in the middle of January. Took a walk this morning to look for an optometrist office as my glasses seem to have gotten bent out of shape. Maybe too much pressure on them when pulling the helmet on and off. The Bombardier winter helmet is tighter than the Nolan. 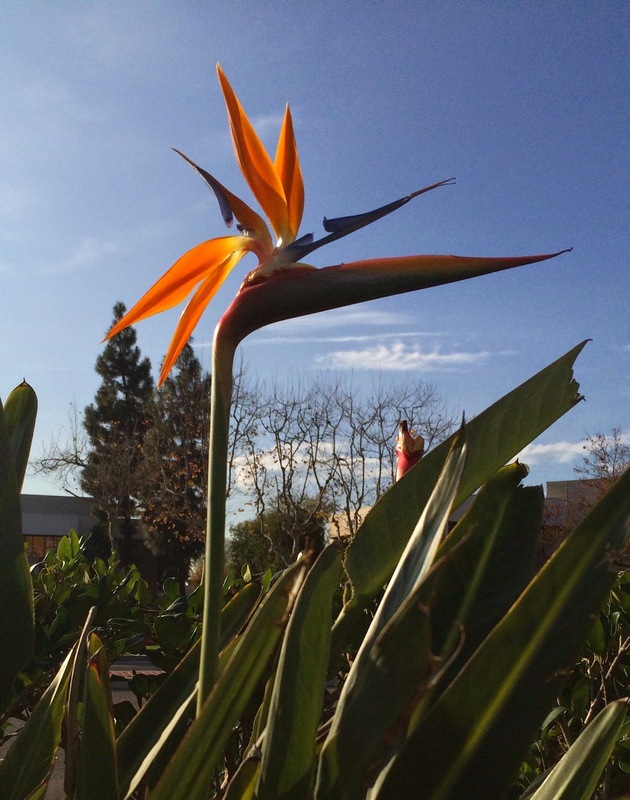 This bird of paradise (I think) was part of the greenery in front of the hotel as I always liked the way they looked. This area really looks and feels like the neighborhood I grew up in. Lots of ethnic businesses. I think that it is nicer to walk around here than San Francisco. Not as crowded or hectic. And since I had it available, here is the next PBC video. I had to run into town on Tuesday and I filmed this specifically to submit while I was out of town. Unfortunately, I only have one more ready to go for tomorrow. I should've planned better. Oh well, it's a challenge not a competition. (I think I am the points leader now but that won't last very long). 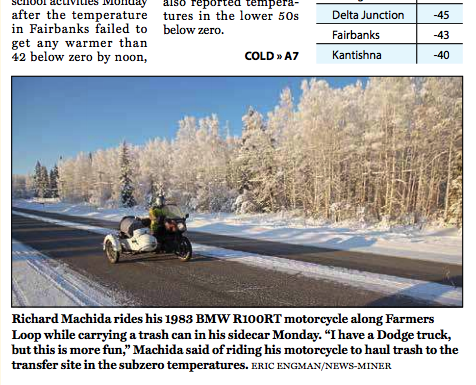 I heard from Whojigger, the Ural rider from Ketchikan who is getting ready to ride up to Fairbanks and beyond in a couple of days. He and his international monkey (England I think) are expecting to arrive in Fairbanks by the 16th. Unfortunately, I'll be in Barrow that week. He's the one who should be submitting PBC videos. The bottom has dropped on our temperature and I took the opportunity to make even more videos and just have them "banked" for posting in the future for when I'm out of town. The video below was made on Monday mid-morning and is just a loop with the start and end points only about a mile apart. The skies have been clear which generally means cooler temperatures. I still have three more video (one more from yesterday and two from today) to upload but am only allowed one per day according to the PBC rules. Tonight, I head to southern California for a memorial service. So I'll upload one each day assuming the hotel has descent wi-fi. At -30°F, the heated liner and heated gloves are turned up all the way, the heated grips are on setting 2 out of 5 and my leather work boots are switched out for a pair of bunny boots. These are rubber inside and out with an insulated layer. One of the benefits is that they are nominally waterproof and pretty warm. Plus you are a couple of inches taller due to all of the insulation in the soles. This morning, I was passing by the time/temp sign at the entrance to the university. A short hop down the path and I was in a good position for a picture. A couple of hours later in the day the temperature had dropped to -28°F so I started a new PBC video with that temperature. I think the speedometer in the Ural failed due to the temperature. In the past, it would just read high whenever it was cold but at -28°F, groaning sounds came from the speedometer and not the needle is now stuck at 90mph. This is probably the only way to hit 90 on a stock Ural. I guess I'll check with Mickey in Anchorage and see if it is covered under the warranty. The valves were a lot quieter today though Charlie6 said that I should have torqued the head bolts before adjusting the valves. Fortunately, adjusting the valves on a Ural is incredibly simple. Having the kick starter to rotate the engine makes it really easy to find TDC. Maybe next weekend between CA and Barrow. A slightly different view. This is from the University looking northeast. Those hills are kind of where we live and I am parked at the top of a "snow dump". At the top of a hill where they push snow off of the hill. Today, after stopping for a quick cup of coffee, I met Bridget at a lighting store to look for a dining room fixture. 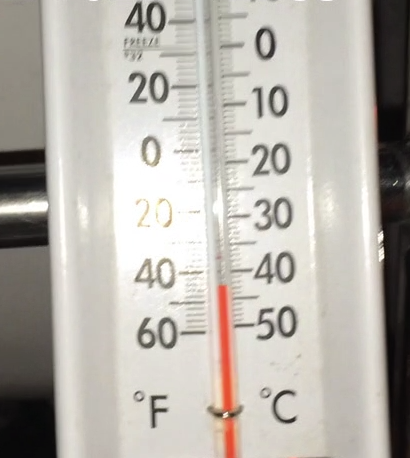 While I was getting ready to leave, I noticed that it was -20°F on the rear rack mounted thermometer. A perfect opportunity to do another PBC video. Instead of simply heading home, I headed for Fox on the Steese Expressway. Then headed west on Goldstream Road to the University. I stopped along the way to check the thermometer as I had noticed that the OAT gauge (Outside Air Temperature) was indicating below -20°F. The thermometer on the rear rack indicated that it was -25°F. This would be a new low temperature for me. The only part that could feel the cold were my feet and face. I checked the temperature again near the university farm and it was still -20°F. When I took the picture up on campus, it was +18°F. A really strong inversion. Not that much of an elevation difference. After getting home, I noticed that the left cylinder valve cover was dripping oil on my boot. One sure sign that it's below 0°F.